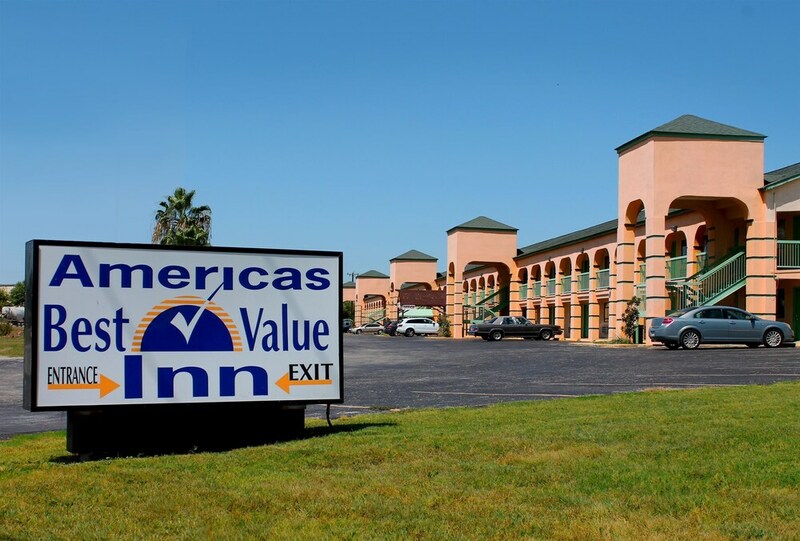 With a stay at Americas Best Value Inn - AT&T Center in San Antonio, you'll be within a 5-minute drive of AT&T Center and Splashtown. This motel is 3.4 mi (5.5 km) from Fort Sam Houston and 4.6 mi (7.4 km) from San Antonio Majestic Theater. Make yourself at home in one of the 77 air-conditioned rooms featuring refrigerators and microwaves. Complimentary wired and wireless Internet access keeps you connected, and cable programming provides entertainment. Partially open bathrooms with separate bathtubs and showers feature complimentary toiletries and hair dryers. Conveniences include desks and coffee/tea makers, as well as phones with free local calls. A complimentary breakfast is offered. Wireless Internet access is complimentary. This business-friendly motel also offers an outdoor pool, multilingual staff, and coffee/tea in a common area. Onsite self parking is complimentary. Americas Best Value Inn - AT&T Center has designated areas for smoking. The seasonal pool will be open from March to September. Pool access available from 10:00 AM to 10:00 PM.